The Cyclone is a top drip (TF) or bottom fed (BF) rebuildable atomizer and is proudly made in the Philippines by Vicious Ant Precision Engineering and Research. It is made of Stainless Steel for safe vaping. This unit will not fit the Reo Mini. A version which will work on the mini is in development. 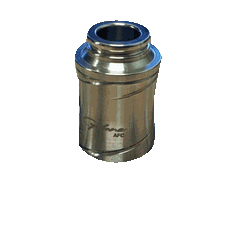 Units are threaded for the model 510 and there is absolutely no guarantee from IVS that the unit will fit any specific product or power source. Please do your research to make sure the unit will work on your unit. From Anonymous of PSL, Florida on 12/28/2017 . 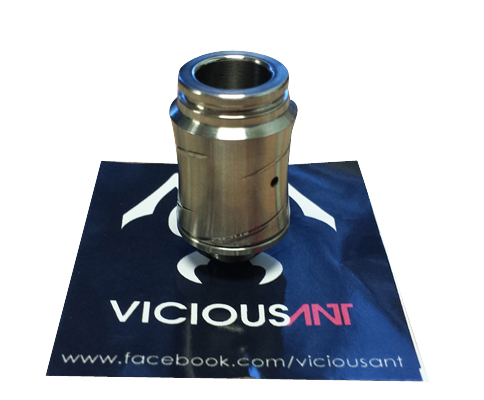 Vicious ant.... enough said, beautiful little RDA. From Anonymous of West Haven, Connecticut on 4/9/2017 . I love the cyclone so much I bought more than one! Perfect rba for mouth to lung vaping and flavor.